Not a great deal happens in the thirteen hours that is allotted to the entire Honey and Clover series. There are no gigantic robots or crazy ninja antics. You won't find demon possessions and barely any moments of fan service. So how is it that this anime series bucks so many deeply ingrained anime conventions only to steal the hearts of countless numbers of aficionados? Madman's release of Honey and Clover Collection 2 encompasses the second 13 episodes of a 26 episode series and as such it is incredibly difficult to review this second half without at least acknowledging the first. You can find my earlier review here. In the first 13 episodes we saw a cast of characters slowly develop from newly enrolled collegiate individuals into an empathetic tight knit unit who seemingly became deeply entrenched in the day to day lives of one-another. This second half of the series further builds upon this by beginning to deconstruct these relationships as the characters further develop from students into young, independent adults. It is easy to feel as though this series is repetitive and laborious until you actually sit back and compare the repetitive scenes and realise that it is all a part of some ludicrously ingenious master plan, intentional or not. Excursions, festivals and the passing of seasons are merely the metronome to which this series gets its rhythm. The passing seasons especially give a sense of perspective and highlight that the whole series takes part over an extended period of time. This helps to give more weight to the relationships formed in so much that they appear to be long term relationships and not week long infatuations. As this is a continuation of Collection 1, there is absolutely no change in the production values. This anime is still a delight to the eyes and ears. The watercolour-esque palette and thin lines add a delicate touch to this slice of life series. Sadly only change is that the opening sequence has change to a fully animated sequence instead of the brilliant stop-motion opener from Collection 1. The music also hasn't changed a great deal in quality or in style. 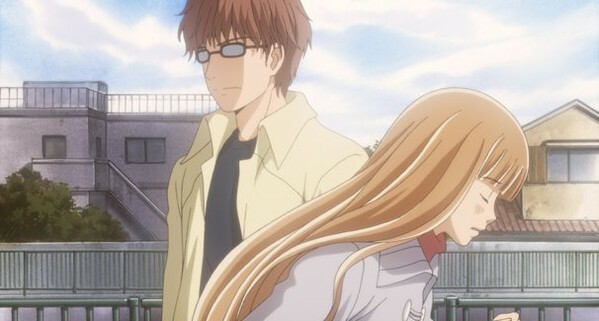 There is not a great deal more to say about Honey and Clover Collection 2, it was pretty much all said about Collection 1. 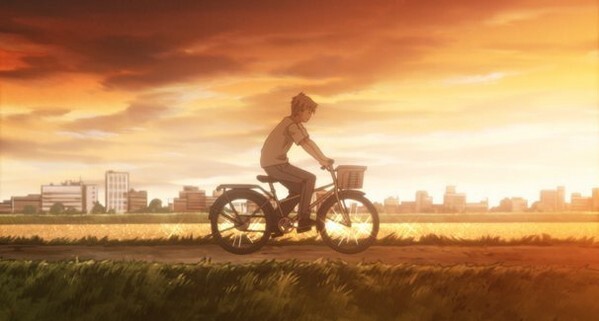 This series as a whole is truly a prime example of how a simple idea, executed masterfully, can make a much greater impact than a series that is full of over the top plot points and unbelievable characters. H&C shows that the most believable and relateable characters are those that have their own insecurities, idiosyncrasies and foibles just like you and I. Although the second half of the series runs a little slower than the first it is still a fantastic series overall. The ending is so immensely satisfying and a great rounding off to what is one of my favourite series of recent years. 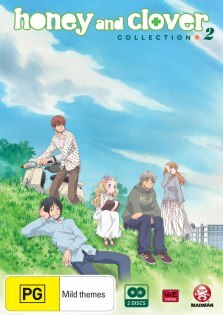 Honey and Clover Collection 2 is available from Madman now.